Yes, your eyes were correct! 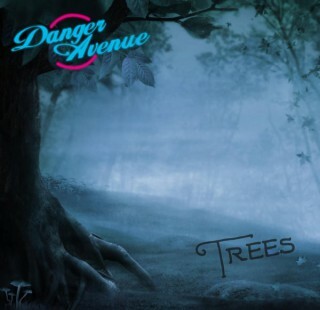 Tomorrow the new single from Danger Avenue, Trees, will be released on YouTube and then on Spotify and from there… who knows? After a lot of pressure, the song and video for our single Tree was finally done! The world premier took place at Sticky Fingers, followed by an energetic gig from the band at Sticky Fingers. Pictures can be found on the Danger Avenue Facebook page. The video will be up on Youtube in a couple of days. Stay tuned! The band wants to thank all of you who showed up. 30 years ago Phil Lynott died and this year a tribute concert was held at Sticky Fingers in Gothenburg. Danger Avenue were invited and of course said yes. Not a difficult decision. 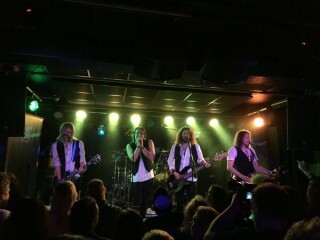 The band went down a storm and had Thomas Van Shaw on vocals and new singer Rob Jidhed playing the bass, while bass player Viktor O’Malley was unavailable at the time. The audience was great and the night was a respectful but an all-in evening which Phil himself would’ve been proud of. Next gig is the release party for the bands new single, Trees! Friday January 29th at Sticky Fingers is the time and place. Be there! 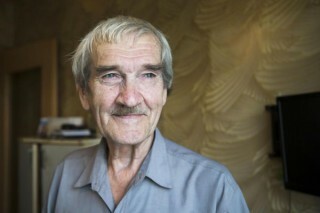 Long story short, he stopped the world from entering av nuclear war. Several years later, I thought about him and decided to write a song about it. The story was so good and he deserved more recognition in my opinion. We played this song live and it has gotten a great response. It has a very good chance of ending up on our new album! It’s great that he now gets a larger recognition for his bravery and belief in humanity. Until next time, take care, rock on and remember.. you always have a choice!